GoodSemester: A Basecamp for OER? 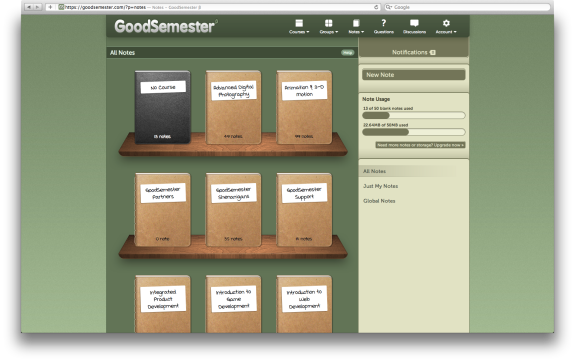 A look at GoodSemester which founder Jason Rappaport demoed for me on Monday, insisting it is not an LMS. But with Monday's big LMS hubbub, I decided to wait a day to post this story nonetheless. You can read about GoodSemester, which is a little bit Evernote, a little bit Google Docs, a little bit Dropbox, a lot like BaseCamp -- with bonus support for OER materials -- over on Inside Higher Ed.